Rohan duck is exclusively available at D’Artagnan. Raised without antibiotics or hormones in open barns, our proprietary hybrid includes the Heritage Mallard and Pekin duck breeds. With a flavor reminiscent of a heritage-breed duck from France, the juicy, tender, rose-colored meat and mild taste make the Rohan™ Duck unique. The D’Artagnan Rohan™ duck is a proprietary hybrid of several duck breeds including the Heritage Mallard and the Pekin, and is raised exclusively for us on a farm in New York State. Like our other ducks, the Rohans are raised cage-free, in open barns with plenty of space and sunlight and eat a vegetarian diet of corn, soy and fresh, clean water. The ducks are hand-processed on the farm in a USDA-inspected plant. 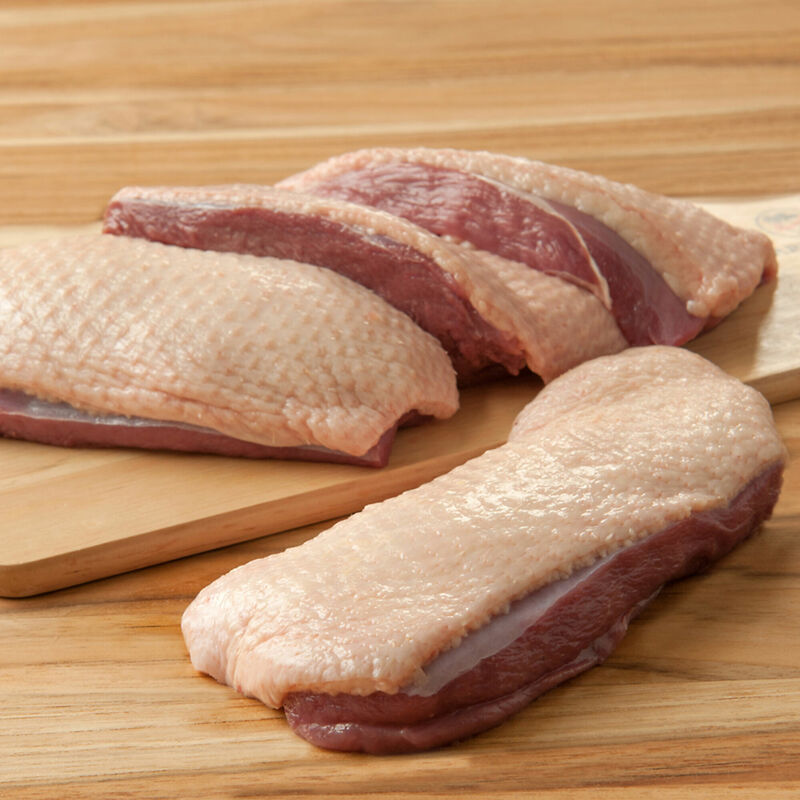 A superior air-chilling process means that the ducks do not retain water, which can affect texture, taste and weight.